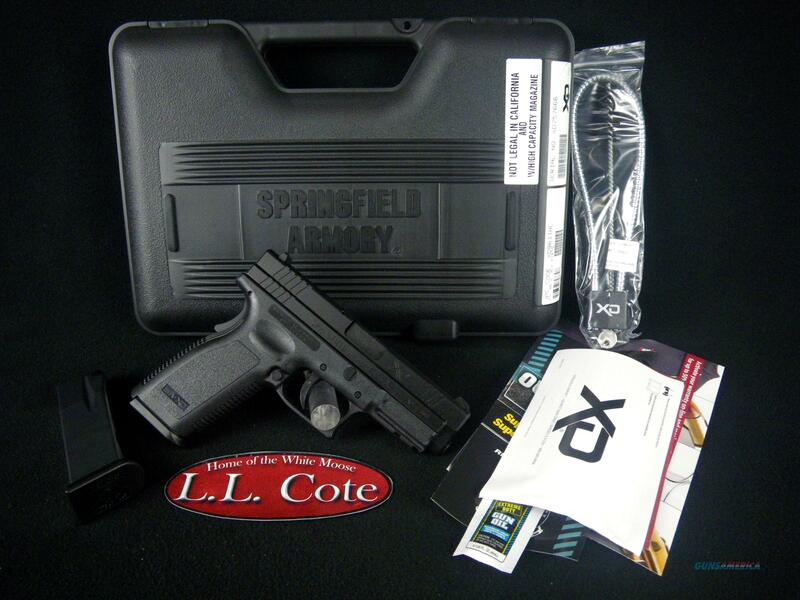 Description: You are bidding on a Springfield XD Full Size in 45ACP with a 4" barrel. The XD® 4? Full Size pistol from Springfield Armory® sets the standard for polymer pistols. The XD® 4? Full Size has everything you want and need in a pistol – superior ergonomics, reliable performance, and features that make it easy and intuitive to use. The XD® 4” Full Size is the original XD® offering from Springfield Armory®, and the most basic XD®. This is the XD® that started it all. The XD® 4? Full Size has a four inch barrel and a full-sized frame. This means you’ll get the handling and accuracy you’d expect from a standard sized pistol. All Springfield Armory® XD®’s have several features that make the XD® easy to use and safe to handle. The striker status indicator and loaded chamber indicator let you know without a doubt, by touch and by feel, whether or not the pistol is loaded and cocked. The grip safety, Ultra Safety Assurance (USA) Action Trigger System™, and the firing pin block safety combine to prevent accidental discharges. Whether you’re looking for a pistol based on ergonomics, reliability or features, you’re in the right place. It’s available in a variety of calibers to fit a variety of needs. See how it all started and check out the XD® 4” Full Size. Where you point is where you shoot. Displayed images are stock photos. Any questions please feel free to ask (our phone number is in the additional information tab above).